Nutation drive claims the advantages of high load capacity, large transmission ratio, desirable stability, low noise, and compact volume, which makes it an excellent alternative to typical joint reducers used in industrial robots. 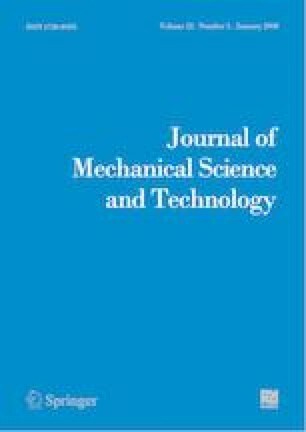 This paper proposes a novel two-stage nutation drive as a joint reducer for the industrial robot. The working principle of the nutation movement is first introduced followed by an analysis of transmission characteristics. The transmission ratio, the transmission efficiency as well as the structural schematic of the proposed nutation drive are presented. Finite element analysis of the main components, including nutation sleeve and bevel gears, was performed. Finally, a prototype was designed, manufactured and tested to verify the feasibility of applying the nutation drive as a joint reducer for industrial robots. Yongwu Cai received his B.S. degree in mechanical engineering and automation from Wuhan University of Science and Technology, China, in 2012. He is currently taking his Ph.D. at the School of Mechanical Engineering and Automation at Fuzhou University in Fuzhou, China. His research interests include robot mechanism and mechanical drive, modeling of complex surfaces and precise manufacturing. Ligang Yao received his Ph.D. in mechanics from Harbin Institute of Technology, China, in 1996. He is currently a Professor at the School of Mechanical Engineering and Automation at Fuzhou University in Fuzhou, China. His research interests include robot mechanism and mechanical drive, rehabilitation robot, modern design method, and modeling of complex surfaces and precise manufacturing. Jun Zhang received his Ph.D. in mechanical design and theory from Tianjin University, China, in 2007. He is currently a Professor at the School of Mechanical Engineering and Automation at Fuzhou University in Fuzhou, China. His research interests include robot mechanism and mechanical drive, mechanical system dynamics (dynamics of gear system, dynamics of machine tools, dynamics of ship structure, etc. ).